After the craziest two months I’ve had in a long while, I am finally getting the opportunity to sit down and reflect on the year just passed. While this is long overdue, it’s nice to look back on the year just passed and just in time for my first fight for 2015. On January 6, 2014, I jumped on my 9 hour flight to spend a year “living the dream”. Little did I know that this 1 year experience would turn into my life, my love and my career. 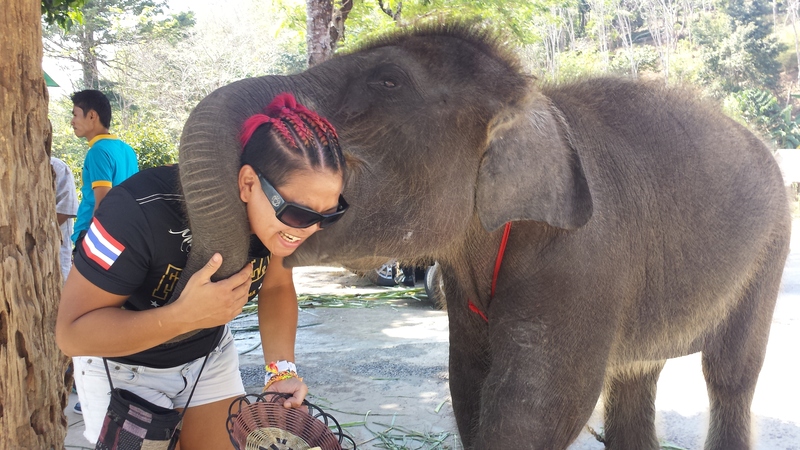 When I made the decision to come to Thailand, I was running away. I was running away from a life of expectations and doubt and a life painted in black everyday. Paradise seemed to be the greatest place to escape to in my well of depression and what I found here was more than I could have hoped for or expected. 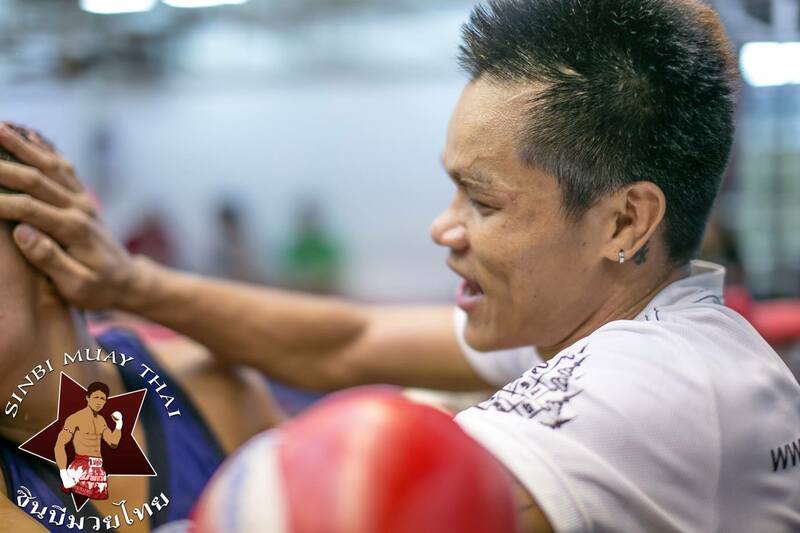 I set myself up at Sinbi Muay Thai, the place where I had come to escape for 3 weeks just a few months prior. I immediately fell in love with the gym and the little village (Rawai) in which it was situated. option for me, but after some alternative therapy (NLT) and some deep soul searching, I decided to stick it out. After all – this was probably the last opportunity I was going to get to do this and I’m certainly not getting any younger! As like everything in life, change is inevitable. I went from being depressed to happy, in a relationship to single, homesick to home. After the end of my relationship I realised – this was another door opened – an opportunity to really see what I could make of my time here. I moved my professional record to 12W-2L-0D in an insane frenzy of fighting and training, thinking I would be going home at the end of the year, wanting to cram in as much ring experience as possible. 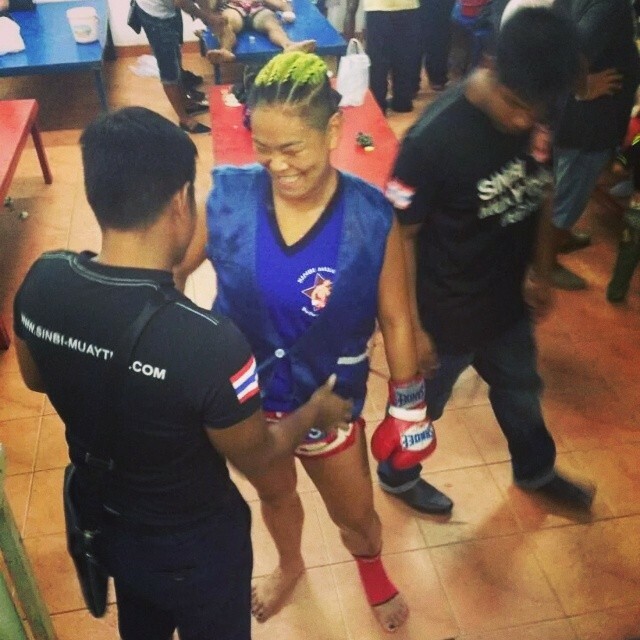 I had the opportunity to fight a range of girls from overly experienced Thai’s to other “farrangs” (foreigners) and managed to escape reasonably unscathed. I only suffered one injury last year despite training like a mad person, and only really taking proper rest after fight in the later half of the year. Being violently ill also had me benched for the month of April and a few pre fight colds (which seems to be my thing now) popped up along the way. All in all, I managed to remain in good health. Nutrition has been key, however despite being a generally healthy eater, it was only last year that I really noticed how awful I felt after a cheat meal. I didn’t lose the weight I wanted to last year – this is going to be a big focus for me this year. Because I didn’t have to weigh in, my focus was on training and fighting. I didn’t want to be at a calorie deficit while I was finding my feet. This year will be different. It’s time to take it up a notch, get my weight to a more competitive division and get in some really good fights. I was able to avenge my first loss mid way through the year although the loss that still haunts me is one I am seeking to avenge this year. Now having a south paw training partner, I feel like I can better prepare for a rematch with Dao Udon. After beating Dao Udon in her return from retirement, she was scheduled to fight my friend Caley, although after the decision to go home was made, I ended up replacing Caley and Dao Udon was nothing short of prepared for me. It was the hardest fight I fought last year and the one where I learnt the most. In all honestly, I had the sh*t kicked out of me that fight – but hey – my guard got significantly better after that! Sadly I discovered that this fight has damaged the sight in my right eye, but nothing I can’t work around!!! I really found myself living here. When I say living, I really mean LIVING. Not doing what is expected of me, not doing what I think I should be doing and stripping my life back to the bare essentials. All my belongings in Australia were crammed into storage and I brought very little with me. I learnt quickly how to live with out, without feeling as though I was missing out. I meet some really amazing people last year as well. From the many short stay students that I had the opportunity to get to know, to the village expats here for a longer stay and even the trainers I have worked with – I have made some life long friends. I welcomed on board some amazing new sponsors, and farewelled some who have really assisted in my journey and made my dream become my reality. I can’t say it often enough, or loud enough, but thank you! 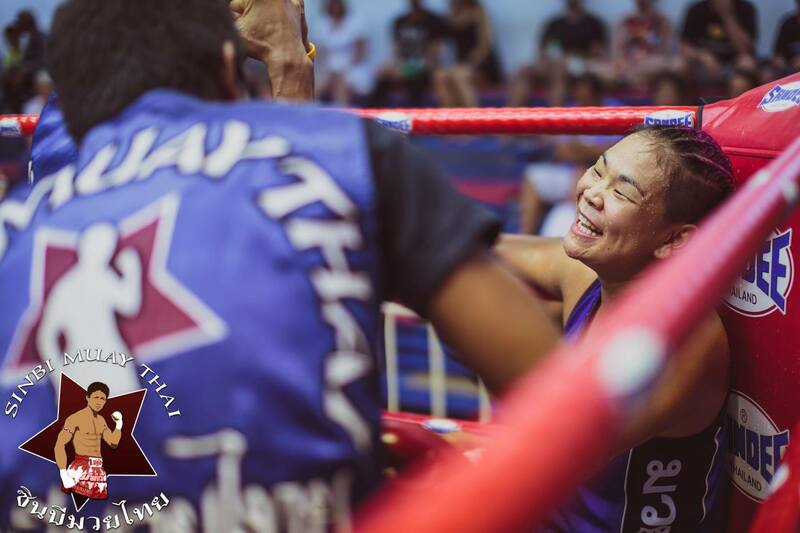 I got to watch my island bestie compete in the World Muay Thai Angels finals event in Koh Samui, all the while enjoying my first Songkran. Songkran is an event which I would highly recommend to any travellers to come to Thailand for. It’s just such a spectacularly fun, beautiful few days (or 10 depending on where you are). I think the words “communal water fight” say it all. I got to make the all inspiring trip to the new Lumpinee where I got to sit ringside and watch 5 Lumpinee Title Fights. It was one of the most incredibly, ridiculous, eye opening experiences of my life. 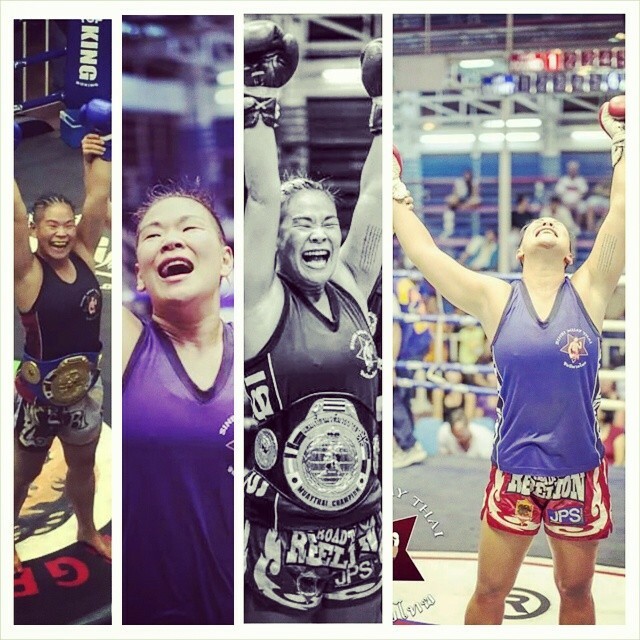 From the atmosphere, to watching the thousands of Thais betting, to the more than impressive skill level of the fighters. It’s something I will never forget! After fighting regularly I found that my nerves disappeared and I really got to enjoy fighting. It’s one of the reasons why I wanted to fight so often. I’ve been told I look like the calmest person before I get in the ring! My fight of the year was against Jazzy Gallette – a young fellow Aussie girl with a very bright future ahead of her. 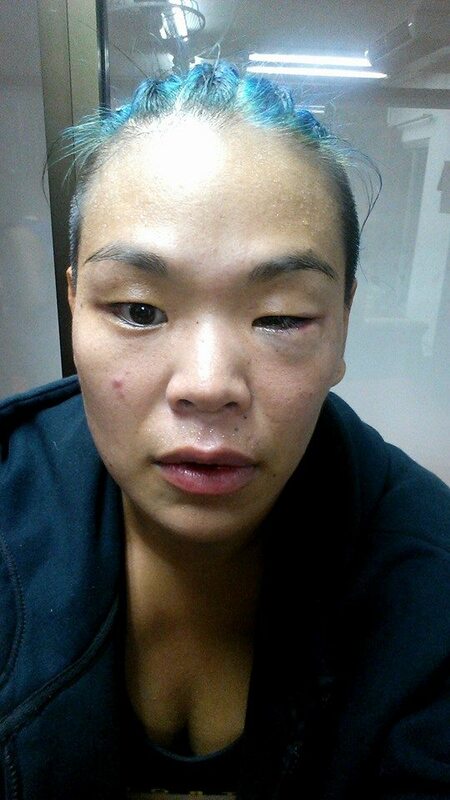 We had an absolute war on a Sinbi Fight Night. In typical Aussie style, it was all out for 5 rounds, elbows galore. A very exciting fight to participate in! I learnt so much about the mental ups and downs of fighting and how to ride the waves. I eventually stopped being homesick every day, and now feel like this is my home. I have grown and changed, and become more aware of my own shortcomings in the past year and I’m so incredibly grateful for these things. I am so blessed to live a life, where I can say I am genuinely happy every day, a life that I have chosen for myself, and life that I love. Living “the dream” is not always easy, but who can put a price tag on happiness?